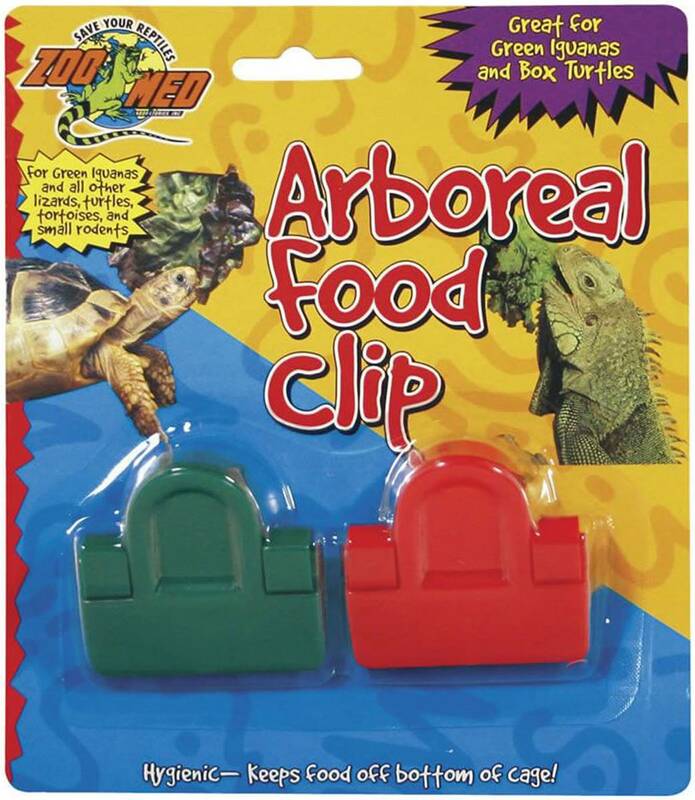 The Arboreal Food Clip provides a more natural and hygienic method of feeding, allowing reptiles to "forage" for their food, and eliminating mess and accidental ingestion of substrates. An ideal way to offer essential greens or treats for various small or medium sized pets such as mice, hamsters, rabbits, guinea pigs, or chinchillas kept in glass or acrylic enclosures. Encourages physical activity (i.e. stretching, pulling). Lessens stress from unnatural feeding habits. 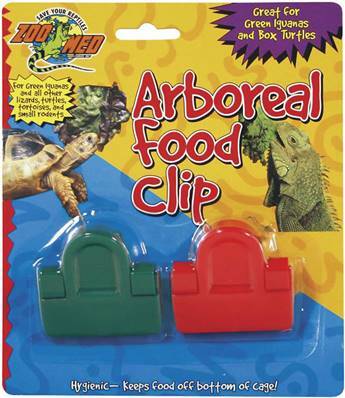 Works great for holding treats for other various types of small animals.